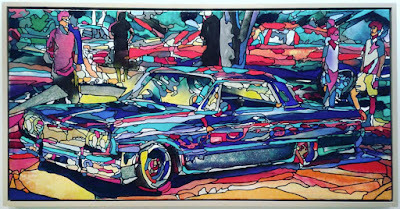 Stained Glass Style Scenes in Bold Spray Painted Colors. 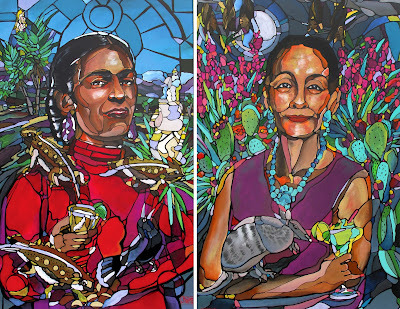 Magical Murals Depicting Unique Culture & Community. Have you ever seen an artist use one medium as inspiration for another? Seems counter intuitive, but also a brilliant way to share their unique perspective! 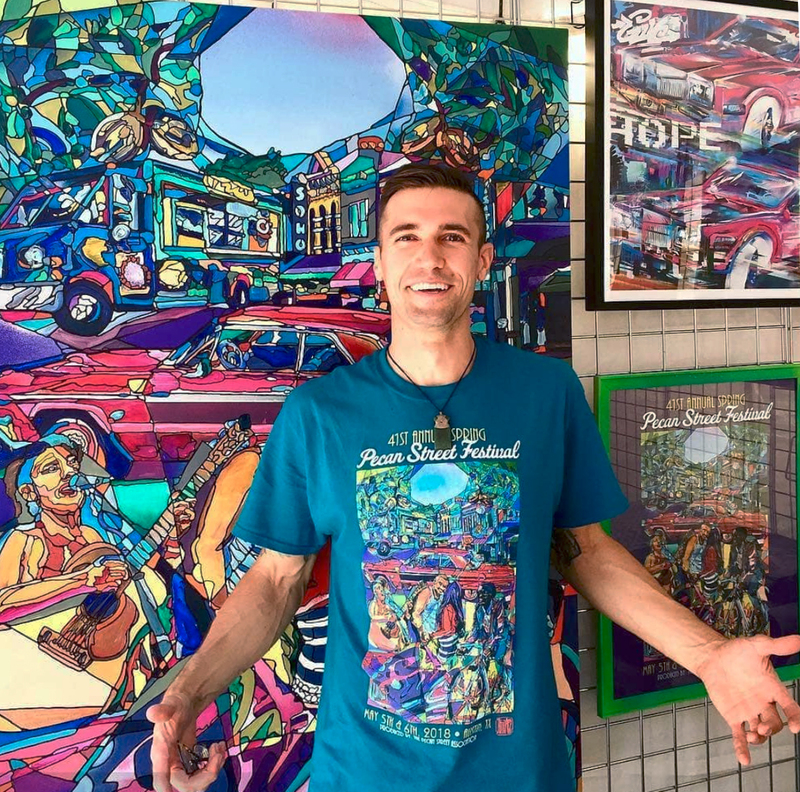 There are plenty of good street artists out there, but what makes J. Muzacz special is his characteristic stained glass inspired painting style that pops off the walls. It's amazing how he mosaics the image in his mind before manifesting it on canvas or a large blank wall, as is often the case. I really love his use of blocks of vibrant colors to build shapes. While stylized, it's still easy to see what he's trying to represent. You can find J. Muzacz's work around our great city in the form of wonderfully colorful murals. One of his favorite subject matters is the lowrider, and he features the custom car culture in many of this pieces. In fact, he just recently had a solo show at the Doughety Arts Center celebrating these vehicles and the art they inspired. J. Muzacz has a very worldly view that is undoubtedly informed by his many years of travel. He is notable not only for his skill as an artist, but also his passion for fostering creativity in others. When not working on his own murals, he can be found teaching art to kids and really revolutionizing the curriculum. From far away, you could easily mistake J's work for actual mosaic or stained glass. He has done a beautiful job of taking one technique and translating it into a whole other medium. It's almost like he's coloring outside the lines by painting inside "stained glass" style lines. 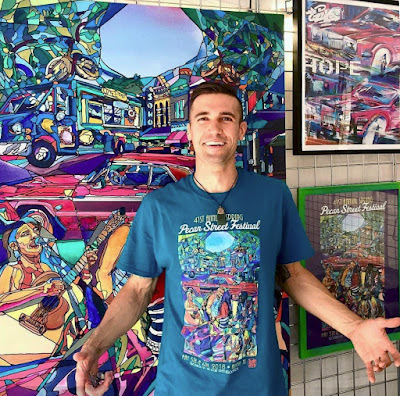 You'll likely see many more stunning and colorful pieces from J. Muzacz as he builds on his one-of-a-kind style.